This August marked 25 years of P&G's journey in Pakistan. 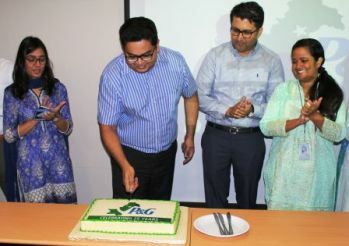 P&G employees came together to celebrate this momentous occasion along with Pakistan's Independence Day celebrations. Dressed in blue, green and white, the theme colors for the day, employees brought to life the true spirit of the celebration. The event featured an inspirational speech by Sami Ahmed, Vice President P&G Pakistan, highlighting P&G's successful journey in the country and the Company's strong commitment to continue serving Pakistani consumers in the years ahead. This was followed by a cake-cutting ceremony, delicious food and special mementos for employees to remember the occasion by. Since its first shipment of Head & Shoulders shampoo in the country in 1991, P&G has won the trust and confidence of Pakistani consumers with its quality product offerings. Through the years, it has invested over $150 million in Pakistan in fixed assets. It has created hundreds of millions of dollars in local value addition, resulting in significant development of a local supplier base. This has led to the creation of over 5000 direct and indirect employment opportunities across the country. With strong business growth, P&G continues to fulfill its commitment towards helping families in need across the country. Through its social-cause programs, P&G has provided clean drinking water, health and hygiene awareness and quality education, reaching over 40 million Pakistanis to date. The Company continues to maintain a positive long-term outlook on Pakistan and strongly believes in the potential the country has to offer. 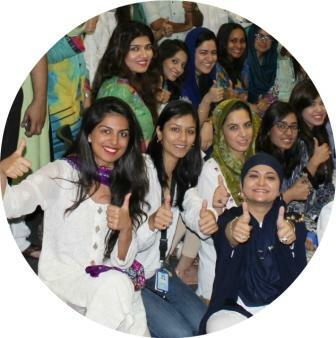 Its history in the country is a testament to the great partnership between P&G and Pakistan. P&G remains committed to the long-term prosperity and well-being of Pakistanis and with this spirit, looks forward to fulfilling its purpose of touching and improving Pakistani lives in the years to come.